An ultra-hard, tough nylon tippet. Ideal for large flies and tough winds. About the manufacturer: Far Bank is an integrated manufacturer and distributor of fly fishing products, including fishing rods, fly reels, fly lines, leaders, tippets and performance outdoor apparel. Search Amazon for a complete list of Redington, Rio, and Sage products to outfit your favorite fly fisher. 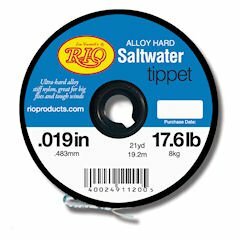 RIO’s Hard Mono Saltwater tippet is a very stiff, super abrasion-resistant nylon tippet material. 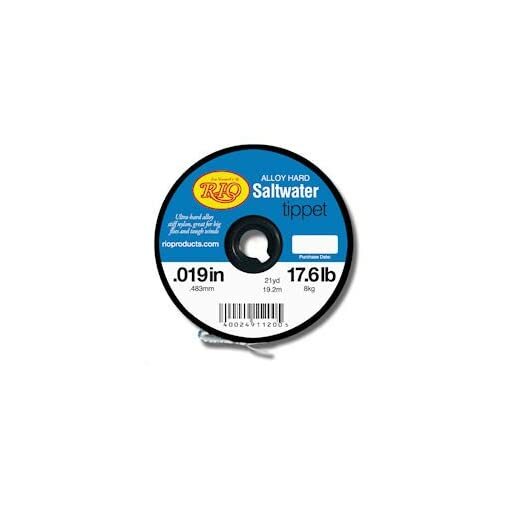 Ideal for casting the largest flies and in tough winds to get the very best turnover.